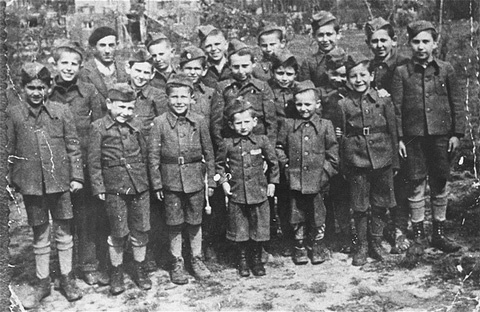 Whatever happened to Ken Waltzer’s proposed book about the Buchenwald orphans? I have a whole library of books about World War II and the Holocaust, but none that I have purchased recently. Today, I decided that it is time for me to read some new books because the Holocaust story is changing daily. That’s why I did a search to find out if Ken Waltzer’s proposed book about the Buchenwald orphans has been released yet. 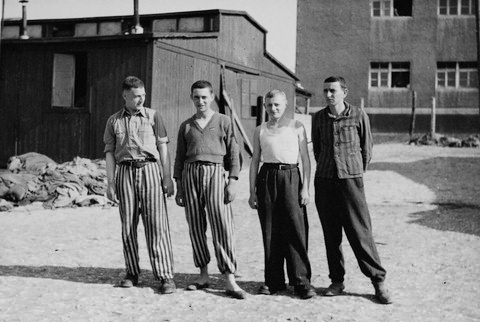 This writer [Carolyn Yeager] suspects that Ken Waltzer is having difficulty convincingly incorporating Elie Wiesel into the story of the “boys of Buchenwald” and their rescue. He has been a friend and devotee of Wiesel for many years, they are both strongly associated with the U.S. Holocaust Memorial Museum, and Wiesel has been a part of his Buchenwald story from the beginning. But the real evidence for Elie Wiesel ever being an inmate at Buchenwald doesn’t exist. There are no photographs of Elie Wiesel at Buchenwald. There are no photos of Wiesel during his supposed concentration camp period at all. I think Waltzer believed this slipshod approach he employs would pass without comment, but he didn’t count on the appearance of Elie Wiesel Cons the World website. We are a real problem for Ken Waltzer! What’s in a name? Carolyn is the hunter and Ken is the walzer. How appropriate! He has been dancing around for 6 years now, while she has been relentlessly hunting him down. 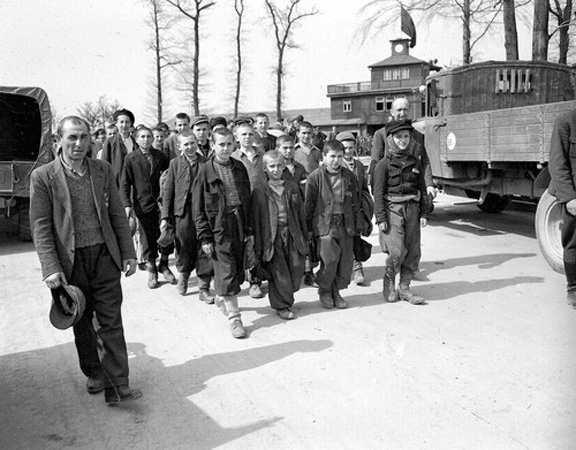 Buchenwald orphans march out of the camp; where is Elie Wiesel? I think that Ken Waltzer has now tacitly admitted that Elie Wiesel was never in Buchenwald, nor in any other concentration camp. Waltzer has been saved from total embarrassment by Carolyn Yeager. She has prevented him from writing a book that would have been full of lies. He would have been disgraced as the new Rosenblat, if Carolyn had not saved him. I just got a pingback from wordpress because another blogger quoted a comment on my blog in a new post that went up this morning on the blog entitled Elie Wiesel Cons the World. For the skeptics [I was using the name skeptic then -cy] and know-nothings who have written in suggesting Eli Wiesel was not in the camps, that Night is purely fiction, you are all dead wrong. The Red Cross International Tracing Service Archives documents for Lazar Wiesel and his father prove beyond any doubt that Lazar and his father arrived from Buna to Buchenwald January 26, 1945, that his father soon died a few days later, and that Lazar Wiesel was then moved to block 66, the children’s block in the little camp in Buchenwald. THese documents are backed up by military interviews with others from Sighet who were also in block 66, and by the list of Buchenwald boys sent thereafter to France. All of this is public domain. Wishful thinking by Holocaust deniers will not make their fantasies true. While Wiesel took liberties in writing Night as a literary masterpiece, Night is rooted in the foundation of Wiesel’s experience in the camps. The Buchenwald experience, particularly, runs closely to what is related in Night. I usually don’t allow name calling in the comments on my blog, but I let “know-nothings” pass because Know Nothings refers to a political party from the dim past. 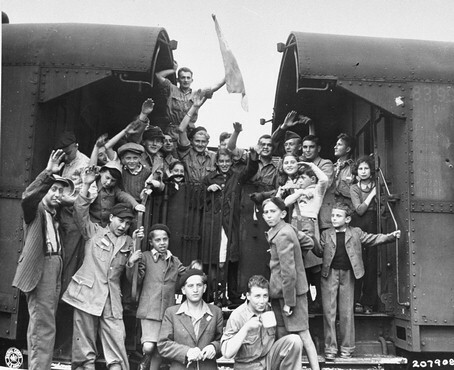 Ms. Yeager wrote in her latest blog post that the web page, in which Ken Waltzer identified Elie Wiesel in a photo of the boys of Buchenwald marching out of the camp, has been taken down and replaced by another page. I previously blogged about the web page that was taken down; you can read my blog post here. Carolyn Yeager is absolutely fearless. She’s not afraid of Ken Waltzer, as he is finding out. I would love to know what is going on behind the scenes, among the True Believers, in view of this latest accusation of fraud.